Lattes on Location provides everything you will need for the espresso bar - EXCEPT space for the espresso bar and electrical power. Ice blended coffees and/or smoothies can be added to the coffee bar service or ordered separately for an additional fee. The espresso machine requires a dedicated 110 volt, 15-20 amp circuit with an outlet located within 40 feet of the serving area. Please inform us if the distance to the outlet is further than 20 feet. Set up requires 6 to 10ft of space: 3-4ft for the espresso machine cart and an additional 3-6 feet for the buffet table used for flavorings, steaming pitchers and tea. We serve in recyclable paper cups unless provided with china/glass cups or mugs. We require access to the serving area at least 30 minutes prior to serving time. A 50% deposit is required for each event. Upon cancellation the deposit will be 100 % refundable 14 days prior to the event. Fifty percent of the deposit will be refunded if canceled 8-14 days prior to the scheduled date. Preparation of some specialty drinks may produce a fair amount of noise. Please consider this when selecting a location for this service. 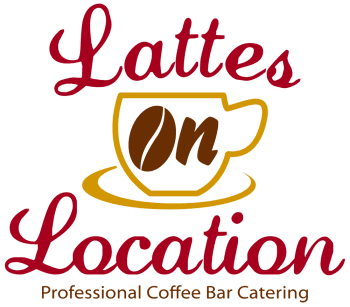 We offer a full menu of coffee, tea & smoothies to meet the needs of your event. In addition to our mobile espresso bar menu, we also offer Continental breakfast and dessert menus to accompany the beverages.